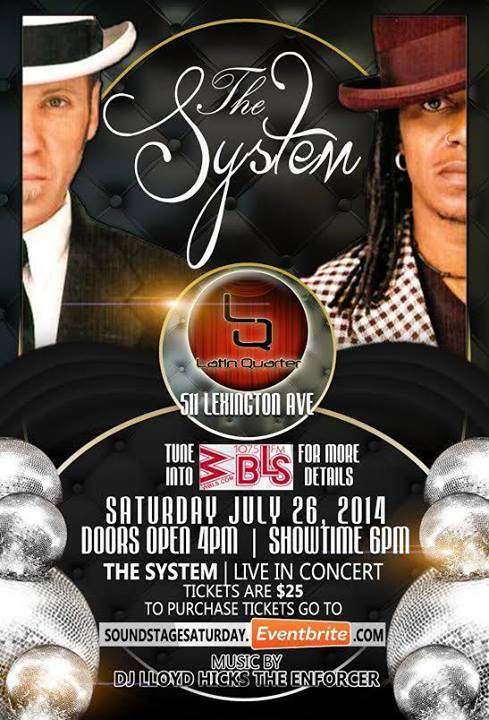 The System: Live at the LQ in NYC! Get your tickets before the 26th! I’ll be there as well! The System’s guitarist Paul Pesco will be at the Milwaukee Summerfest this week. Plenty of musical artists will perform with Pesco, including the one and only THE SYSTEM. Share it with everyone! If you’re looking forward to any musical festival this week, check this out! My friends, I really need your help sharing this info on your pages. Specially if you live close to Milwaukee & Chicago. Hope to see many of you on my upcoming show at the Summerfest! I will be joined by some old and new friends. Open the evening will be Jay Lane’s “Jay’s Happy Sunshine Burger Joint”. Jay is the drummer for Bob Weir’s “Ratdog Live” , also with the band, Primus. Paul Pesco and Friends Band will feature Jazz/Rap super star, Katisse, on Sax/Flute and Rap vocals. 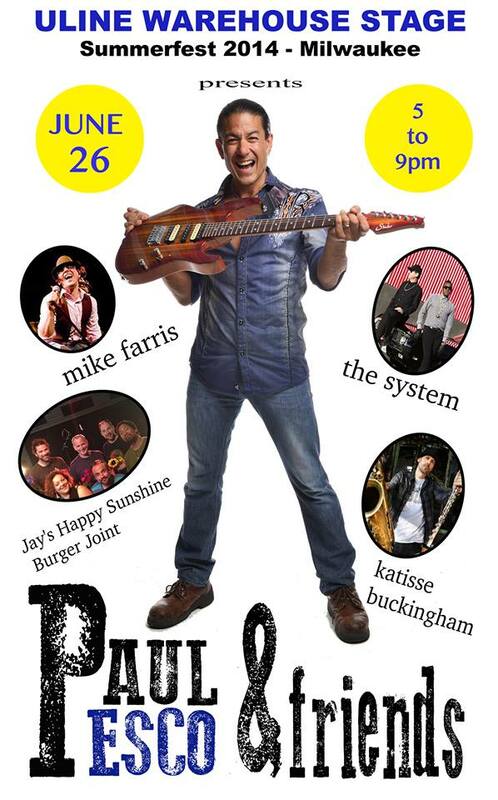 Also joining Paul is Memphis Soul/Blues rocker, Mike Farris. He is the kind of blues singer that will make the happiest person feeling the blues. Also, featured is the return of The System Fan Page. Innovators of synth driven techno/funk, The System is cited as a major influence on current bands like Chromeo. David Frank and Mic Murphy laid the groundwork that many have followed. *Songs that were not released as singles on ReverbNation, SoundCloud, and BandCamp. **Songs that were released as singles on ReverbNation, SoundCloud, and BandCamp.